Looking for a simple and cost effective way to save energy by turning off the lights when no-one's in the room? The new Leviton IPS05-1LZ is compatible with new LED and CFL lights as well as traditional incandescent, fluorescent and motors (see ratings below). 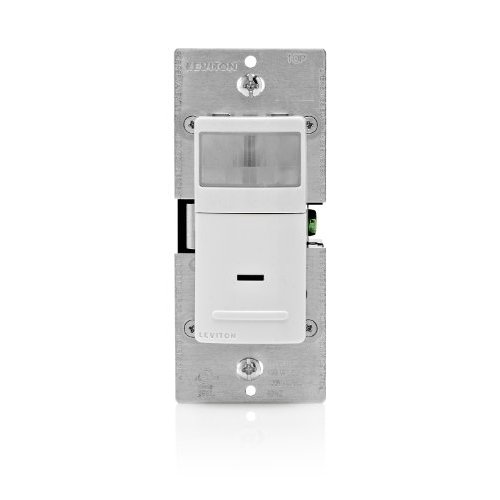 This occupancy sensing switch does NOT require a neutral wire connection so can be used in new and retrofit applications. 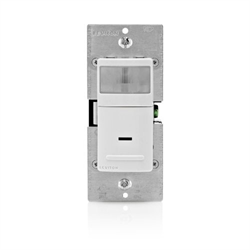 It simply replaces a standard wall switch, fitting in to a standard decora style plate.